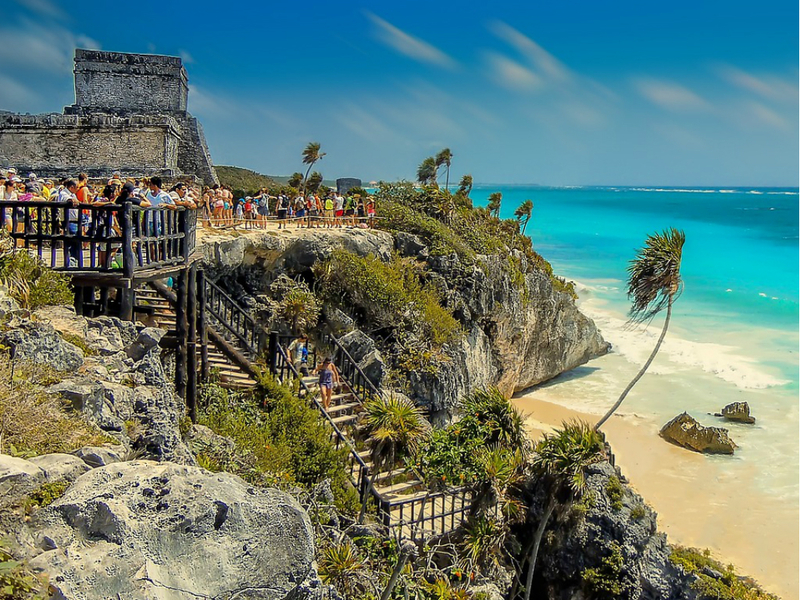 Tulum is located south of the Mayan Riviera, approximately 70 kilometers from Playa del Carmen and next to the archaeological zone is the magical town with the same name “Tulum”. 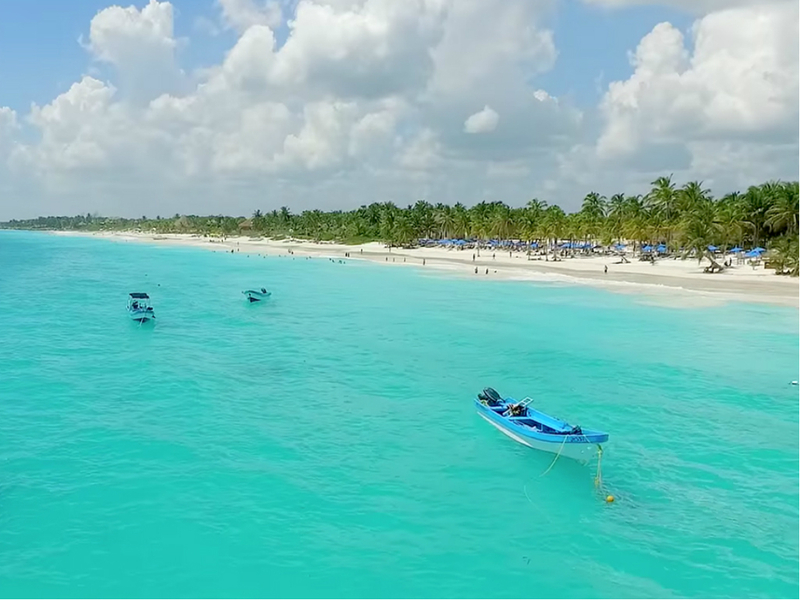 If you are visiting Cancun or somewhere in the Riviera Maya and want to visit Tulum, we recommend five transportation options to get to this beautiful site. from Cancun, every 30 minutes there are bus departures and the cost of the ticket varies between $ 80 pesos (4.19 dollars) and $ 218 pesos (11.42 dollars) according to the schedule chosen. The advantage of using this means of transport is that we travel comfortably, during the 2 hours with 15 minutes of travel. Many times the price of the bus ticket can go a little high, another alternative a little cheaper is to take collective minibuses, they leave every 15 minutes from Cancun and their destination is to Playa del Carmen, have air conditioning and the cost of the passage is of $ 38 pesos (1.99 dollars) per person. This transport service makes continuous stops during the trip and we can take them in front of the bus station of Cancun, they are known as “Playa Xpress”. Arriving in Playa del Carmen, we walk half a corner to get another minibus to Tulum, they leave every 10 minutes and their cost is $ 40 pesos (2.10 dollar). If you come to the Riviera Maya with your family or friends and want to know it on your own, renting a car is the best option. The advantage of renting a car is that you travel more comfortable and you have the willingness to make stops to the places you want while you arrive in Tulum. There are companies that offer this service here in the Riviera Maya and the cost varies according to the model of the vehicle that you choose. If you book in advance it is sure that you get a discount. Taking a taxi is another way to get to Tulum from wherever you are, either in Cancun, Puerto Morelos or Playa del Carmen. It is an alternative but not the most advisable since the price for the freight can cost you at a high price. 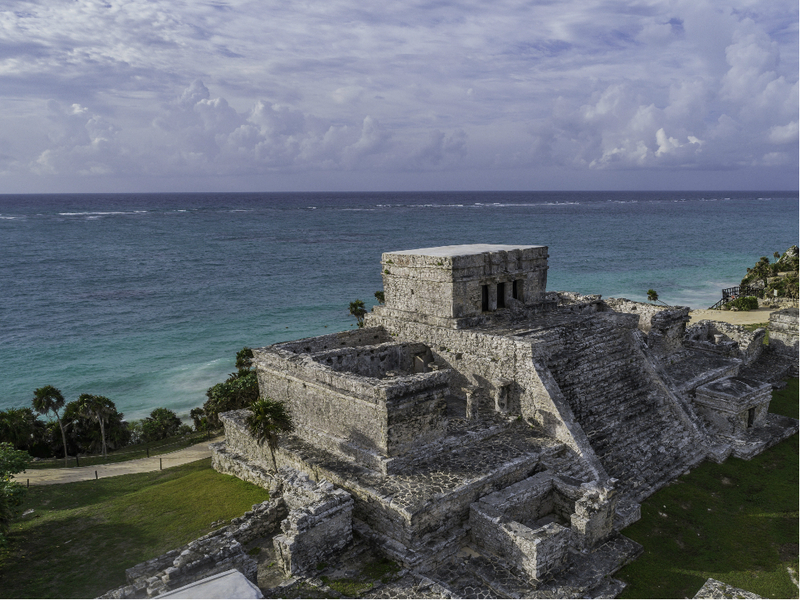 In Mayan Riviera Tour we have excursions that have a visit to the archaeological zone of Tulum, as well as snorkeling in its crystalline beaches. The advantage of traveling with us is that in all our tours we offer roundtrip transportation to the hotel where they will be staying, transportation in comfortable vans with air conditioning, traveler insurance, driver and certified professional guide, light breakfast among other things . With us you travel comfortably while you know the best places of Riviera Maya and Yucatan!